Introducing our NEW convenient, STACKABLE, VERTICAL SOLUTION! 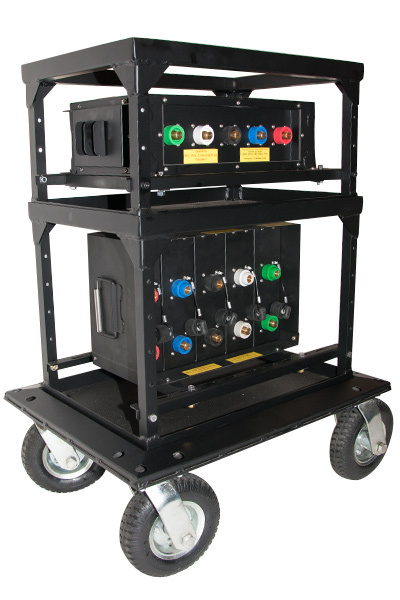 The new KRE Stackable Portable Power System is a vertical solution to on-set clutter, inefficiency and equipment bloat. Our stackable system combines classic, refined KRE Electric functionality with improved ease of use in a way that reduces equipment wear and tear, facilitates easy compliance to existing codes and reduces deployment time. Stop making multiple trips to carry boxes from the truck! 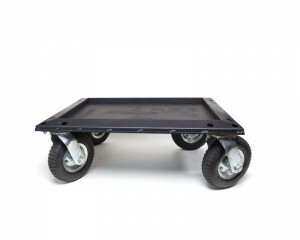 Build your complete system tool free right on the truck, and deploy it with ease in a single trip on our all-terrain pneumatic tire equipped wagon. 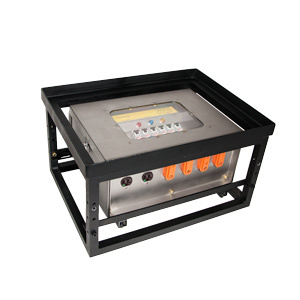 The KRE Stacked Big-3 is fitted with the operational standard colour coded cam lok configuration of five male panel mounts and 3 sets of five female cam lok outlets. The KRE 4AWSD with panel mount tails is fitted into the fully protected, secured, elevated enclosure to 150 mm as per ESA-Spec 003 4.33 (b). 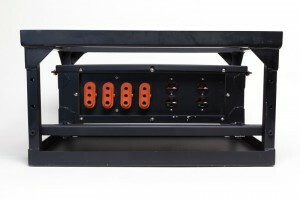 Dual 20 Amp duplex convenience outlets eliminate the need for an additional breakout. Many existing distribution boxes can be quickly and easily adapted for use with the vertical stacking system. More stackable standard distribution options are coming soon. KRE Electric also offers distribution boxes customized to your needs just a phone call away. For more information or a quote please don’t hesitate to contact us!